A major characteristic of high-quality businesses or brands is the value they place on their employees. Successful businesses understand that the key to their success lies with their employees. The key to hiring and retaining quality people lies in the Regina group benefit plan you offer. This will make your employees to feel safe and to have peace of mind in your business. It will also influence their evaluation of your compensation program as well as their future. You don’t just want to retain high-quality employees, but you also want to protect your employees and also your business without incurring additional cost. Furthermore, the program can be designed in such a way that the employee can maintain their health coverage even after leaving your company. To get an immediate Regina group benefit plan quote, click here. Regina group benefit plan could be an excellent way to provide additional compensation to your employees without necessarily increasing their taxable salary. The employer will get a tax deduction in every cost that is associated with the Regina group benefit plan. Your employees and their family will benefit from the employee benefits program and the program could be relevant in protecting them against financial issues that could be caused by health and dental expenses. The group benefit plan provides tax-free coverage to your employees. The employer benefits by providing the Regina employee benefits program at a fixed cost and the plan will be administered by an insurance company automatically. To learn more about group benefit plan, click here. You need expertise to set up a rewarding and attractive Regina employee benefits program. The program could be complex and flexible, this is why it is necessary to hire an expert to help you to go through the process of setting it up. The help of such an expert could be relevant to prevent the problem of steep cost and growing liabilities. When working with a broker or a benefits consultant, you can benefit from their expert guidance and the relevant data that could help you to get the best result from your benefits investment. Furthermore, brokers are usually paid by their insurance company and so, you will obtain the service at little or no cost. However, it is advisable to get at least three proposals to evaluate the cost and value as much as possible from different perspectives. 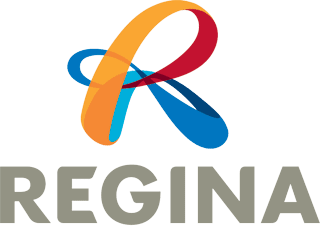 To learn more about Regina group benefit plan legislation, click here. Learn about group benefit plan by providers. Learn about group benefit plan by city. Learn about group benefit plan by province. Adding deductibles into the coverage. Sharing the premium cost between the company and the employees. Paying attention to the level of coverage or the co-insurance. Placing a limit or capping the coverage (for instance, setting vision care over a period of time at $400). Reducing unnecessary carry-over of unused sick days. To learn more about Regina group benefit plan, click here. On the heels of a deficit budget, Saskatchewan MLAs led by the Saskatchewan Party reduced their salaries by 3.5 percent. The province aimed at reducing public sector wages by 3.5 percent but the plan was opposed by the unions and was abandoned. Then-premier Brad Wall said in a statement that he has always said he will not ask other public sector workers to do anything they were not prepared to do themselves as elected officials. But one year later, the MLAs have reversed the 3.5 percent reduction. They were making $96,183 to $92,816.59 in 2017 but they are back to their former salary. According to the Saskatchewan Party MLA Jeremy Harrison, who sits on the board in charge of setting MLA wages, the 2017 wage reduction also applied to staff in the Premier’s office, minister’s offices and Deputy Ministers but they also partook in the reversal. Saskatchewan residents make $53,000 a year on average (that is $43,000 less than Sask MLAs) but average weekly earning of Saskatchewan residents have increased by about 4 percent over four years period. What is a group benefits plan? A group benefit plan provides a seamless way for employers to provide compensation packages to their employees. This could be in the form of health insurance, life insurance and so forth and it is usually outside the benefits offered by the provincial government. Can my employer take away benefits? Yes, employers may be able to take away the benefits they offer their employees even though it is considered a poor business decision. However, employees can protect their benefits with an employment agreement. They can also do so with federal or state law. What are good job benefits? Group benefits may include health insurance, dental insurance, vision care, life insurance, personal leave, paid vacation leave, child care, fitness, a retirement plan, sick leave, and some other optional benefits. The usually varies with the company. What are the four major types of employee benefits? The four major employee benefits offered by most Regina employers include life insurance, retirement plans, medical insurance, and disability insurance.